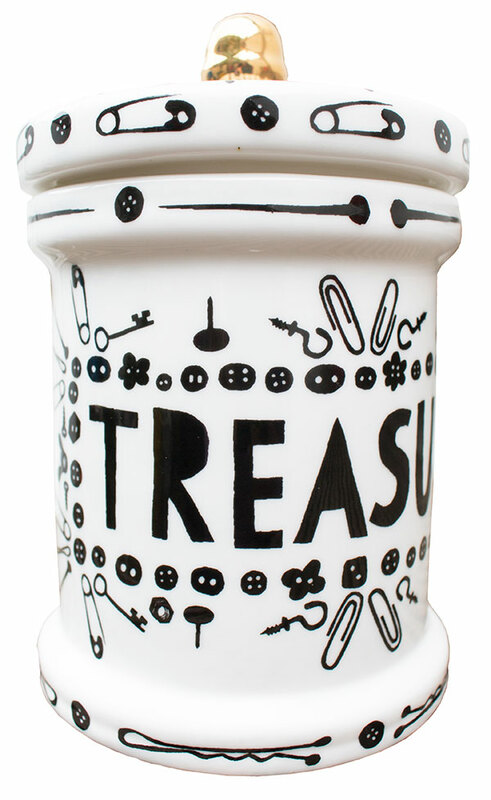 A unique black, white and gold ceramic treasure pot. 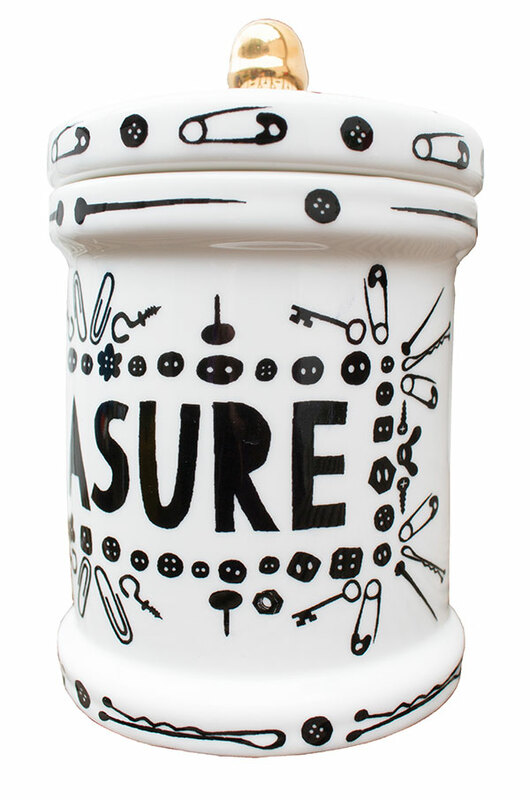 Each pot has a hand painted lid and is hand editioned in gold lustre by Rob. Each pot is one in an edition of 39. 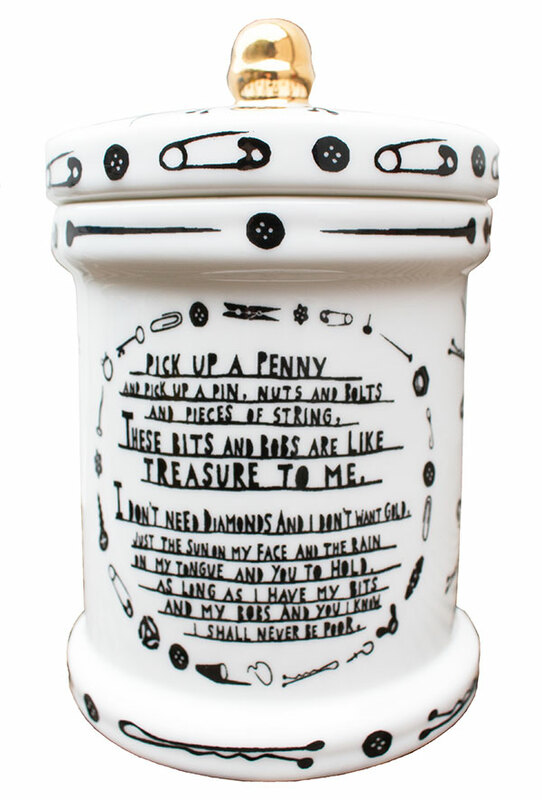 ‘Pick up a penny and pick up a pin, nuts and bolts and pieces of string. These bits and bobs are like treasure to me. Each pot measures approximately 18.5 cm in height, diameter 10.5cm.